The Area Wide Heath Committee, organized in 1987, works to make health care accessible to all who are uninsured or under-insured. It offers free health screenings to the community through the monthly Tillery People's Screening Clinic. Currently, the Committee is working to expand the services in the Health Clinic so that local residents can obtain affordable, basic health care from local volunteer doctors. The Tillery People's Health Clinic is housed in The Curin' House. Community volunteers coordinate the Clinic operations and stations, which include registration, records, vital signs, medication, discount, refreshments, special services, and Clinic surveys. The Health Committee hopes that eventually local volunteer medical professionals will staff the Clinic on evenings throughout the week. One Saturday a month, members of the North Carolina Student Rural Health Coalition provide medical screening, treatment and prescriptions with a physician serving as preceptor. We now offer a 1st Monday evening People's Clinic with Dr. Raven DeLoatch. Appointments must be made by calling (252) 826-2234. We welcome David Hines, PA as our 3rd Saturday People's Health Clinic director at the Curin House. The Tillery Community has realized a recent four-year dream of having a real Clinic building with three full examination rooms, a laboratory and a reception area. It is in the beautifully renovated former potato curing house and is connected to the present Community Center (the old general store) with a ramp entrance. The Curin' House was dedicated on April 17, 1991. The dream now is to expand the services available, from simple screenings to fuller medical coverage. 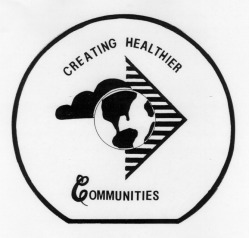 In 1984, the Concerned Citizens of Tillery (CCT) and the North Carolina Student Rural Health Coalition embarked on a partnership to address rural health needs in Tillery. That year, they held the first two-week Summer Health Fair. In 1987, the first regular monthly People's Health Clinic screenings began in the Tillery Community Center with volunteers from the community and the Coalition Medical Student Chapters at Duke University and East Carolina University (ECU). In 1988, CCT established the Area Wide Health Committee as a standing committee and began the search for funding to renovate the old community curing house into a permanent building for the Health Clinic. Beginning in 1990, the "Tillery Clinic" has been an elective class offered by the ECU School of Medicine. The Department of Family Medicine established the class, which provides academic credit to students who attend the Tillery People's Health Clinic. The Health Committee reaches out to share its knowledge with other communities in two main ways. They began the Community Health Advocacy Program (CHAP), where "Tillery Clinic" medical students teach health education and training to community members, and they participate in the Community Health Collective, an umbrella organization of communities providing health care in Eastern North Carolina.